Listing courtesy of Jessica Pasternak (CalBRE #01917205), Compass. 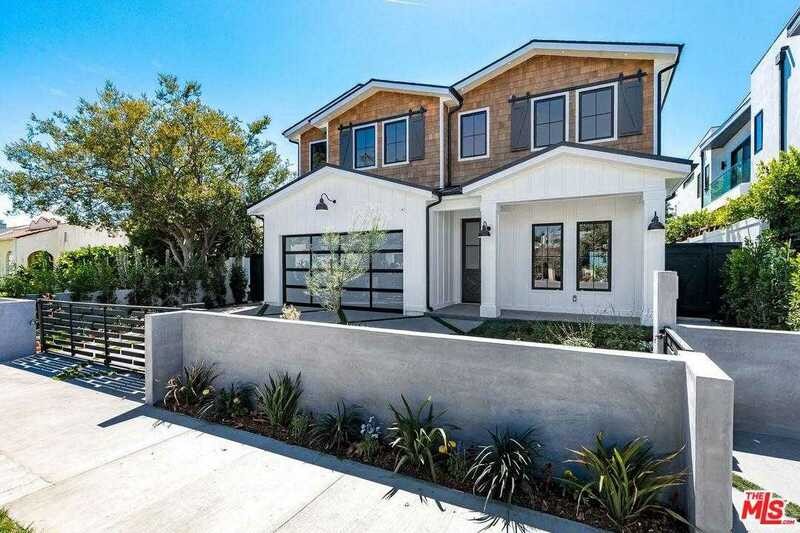 Beautiful brand-new construction modern farmhouse on quiet street makes for the perfect turnkey home. Grand living & dining rooms, with soaring ceilings, flow to open kitchen and sitting area. Chef’s kitchen features stone countertops, center island with prep sink and breakfast bar, farm sink, walk-in pantry, and Sub-Zero/Wolf, stainless-steel appliances. Sliding glass doors lead to backyard paradise offering pool, waterfall, zero-edge spa and built-in BBQ. Offering 5 large bedrooms and 6 bathrooms, the upscale master bedroom offers vaulted ceilings, private balcony, fireplace, two large walk-in closets, and palatial master bathroom with dual vanity, soaking tub, and massive standing glass rain shower. Guest bedrooms all include ensuite bathrooms and generously sized closets. Additional highlights include movie theater offering surround-sound, integrated Control4 smart home system and 2-car finished garage. Located close to shops, restaurants and more! Building size: 4767 sq ft.